Child Plans: Is that REALLY worth for your kids? I am reminded of a Tamil saying, “Experience what it is to build a house, and get a child married”, probably that is the reason why wise parents invest to meet the long term financial obligations like education and marriage cost of their children. In addition the rising inflation rate also calls for starting savings early in a child’s life. However it would be advisable to know, evaluate and compare various means of savings. This could also enlighten you about how “child plans” need not be the only method. “Child plans” with insurance resemble unit linked insurance plans, starting early in a child’s life and ending only when the child attains maturity. The amount of money invested in these plans is insignificant considering an in-built insurance component, and other charges like premium allocation charges that are the commission paid to distributors. This could lead to low return in the initial stages and additional losses on leaving before completion of the tenure. a catchy name to capitalize the “Child sentiment” in us. We need a different medicine for a kid and adult. But do we necessarily need a different type of investment options for securing a kid’s future. Think. It is to be noted that other investment products like Public Provident Fund, National Savings Certificate, National Savings Scheme, RBI bonds, post office deposits and instruments and mutual funds that serve the purpose of savings and increasing of capital value apply equally well to investment for a child’s future. Mutual funds are available in a wide range to satisfy all appetites for risks. In addition there are mutual funds that are designed for meeting long term financial obligations of children. One could also invest in funds with a right balance between debt and equity that promise better capital growth than child plans. 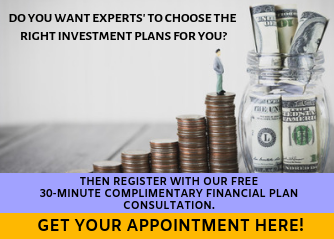 It is also possible to go in for systematic investment plan that offers the opportunities of taking advantages of price differences and gaining in the long run. It is true that systematic investment plans or SIP in mutual funds help save entry cost and build a habit of regular savings for capital growth to meet children’s financial obligations. It is also possible to avail of tax benefits as such funds are taxed only on maturity and a major child’s income would be taxed separately. I am sure you would agree that this would help saving unnecessary expenses and cuts in investing in child plans. PPF or Public Provident Fund is also good as mutual funds, with opening a PPF account for a 20-year period in a child’s name helping to meet long time financial obligations of children. It has been stipulated that an annual investment of just Rs.100000 in PPF would leave you with almost Rs.46lac as a result of the compounding effect. It is difficult for a “child plan” with insurance component and upfront charges to offer you such a great return without taking much of risk. Instead of going for a “Readymade Child Plan”, one can customize their Investment Plan for their child with a combination of Term Insurance, PPF and equity diversified . If tax saving is your motive one can consider ELSS funds instead of a regular equity fund. It gives you similar tax benefit like a child plan. You get 80 C benefits for your investments. Also the returns are also tax free. At the same time, the charges are very very minimum and negligible when compared to “readymade child plans”. You can increase or decrease your contribution every year depending upon your financial situation. 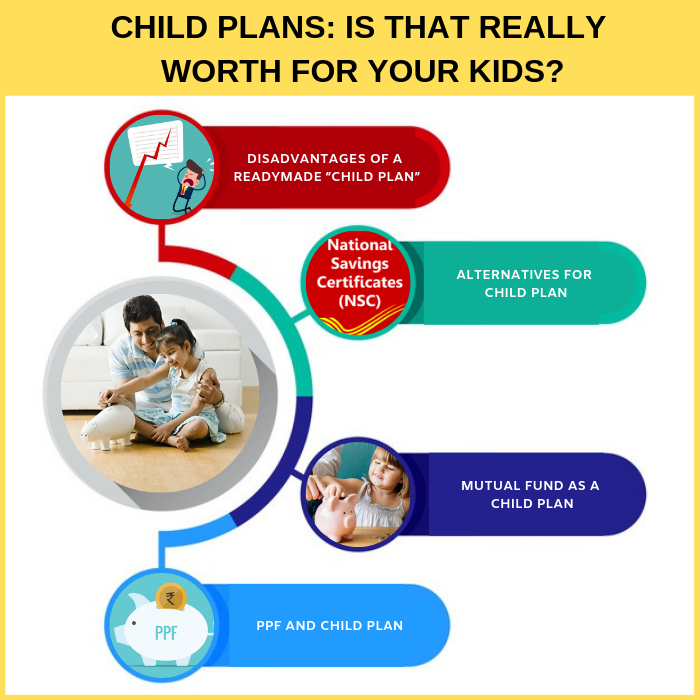 So whenever, you think of child plan think of a customized investment plan for your kid’s future with a mix of 2 or 3 investment options instead of readymade product with a tag “Child Plan”. I am sure you would agree that readymade child plans prove to be not ideal instruments to save. The wisest line of thought would be a mix of diversified investments that gives good return with low charges. Do you agree that readymade child plan is not a better investment idea for your child? Kindly share your views in the comment section. Thanks For the Clear Information Provided. Which Makes to Decide Which is Best to Invest. Thanks, Santhosh. We are happy that our article made you decide with more clarity.